If your organization is suffering from a lack of employee engagement, it is likely that your leaders aren’t effectively using the most basic of leadership abilities. Gallup workplace surveys regularly find that poor communication is a root cause of disengagement in the workplace. 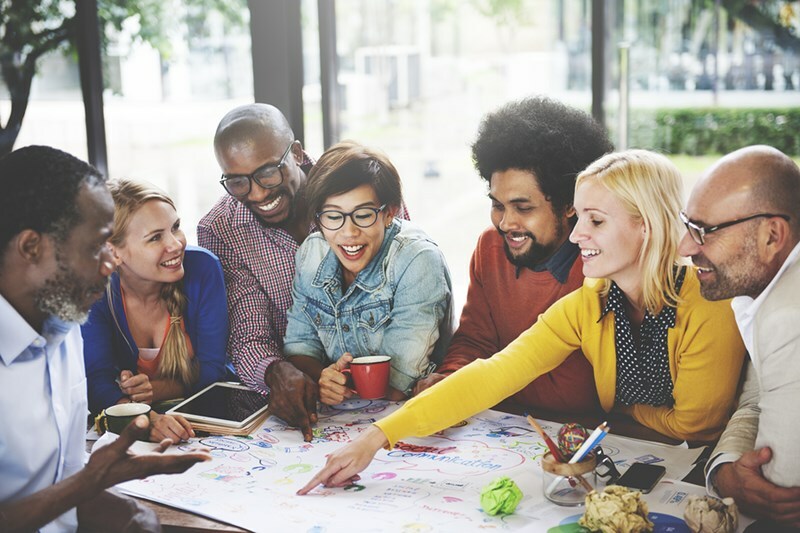 In this article, you’ll learn how to design organizational behaviors to enable effective communication and encourage employee engagement. How do you know your employees are not engaged at work? Where these factors are abnormally different in individual teams or departments to an organization’s average, this is a good indication that there could be a breakdown in communication between the manager and his or her team. How does a lack of employee engagement affect an organization? Knowing the connection between communication and engagement, these numbers are motivation enough for organizations to tackle poor communication practices in the workplace. Why is communication a key to engagement? Communication in the workplace is vital to operating excellence. Leaders communicate goals, values, beliefs, and operational messages. As much as 90% of a manager’s time is spent communicating with employees, suppliers, customers, and colleagues. In some work environments, miscommunication can be fatal. So, poor communication can lead to accidents at work, and ensuing lawsuits, too. But it also leads to disengagement of employees, and the associated disadvantages as outlined above. In Gallup’s State of the American Manager report, research shows that as much as 70% of the variance in employee engagement is the fault of the employee’s manager. Given that so much of a manager’s time is spent communicating, it follows that communication is the pivot that can rebalance organizational behavior and redress disengagement. And Gallup finds this to be true, with consistent communication directly linked to higher engagement. Organizations without a communication standard, or where managers ignore those standards, are most at risk of a disengaged workforce. Whether communication is made in person, by email, in printed formats, or by instant messenging or Skype, or some other means, the aim must be to build relationships with workers, achieve consensus, and maintain employee engagement. How can organizations and leaders communicate better? It’s essential that you have a policy in place that promotes the organizational behaviors required to ensure. So, what might such a policy look like, and what behaviors might you need to enable? Ensure that leaders, managers, and supervisors are coached in effective communication techniques to engage employees. Keep communication brief and to the point, especially when communication is made by email. Put main points at the top. Makes sure that managers reward a job well done – people want to know their efforts are appreciated. Leaders should always go to meetings well prepared. They should know what they are going to say, and consider questions or objections they may receive before they are voiced. Give your managers coaching in body language, and ensure they know the difference between verbal and non-verbal communication. Effective communication is key to employee engagement. In this regard, there can be no doubt that communication is pivotal in increasing an organization’s value. Engaged employees are happier in their work, and more productive. Contact Forward Focus today to discover how an Emotional Intelligence course will develop and embed effective personal skills in the workplace, for leaders, managers, supervisors, and employees. Organizations are suffering with greater numbers of disengaged employees. Leaders who utilize technology effectively could reverse this trend.